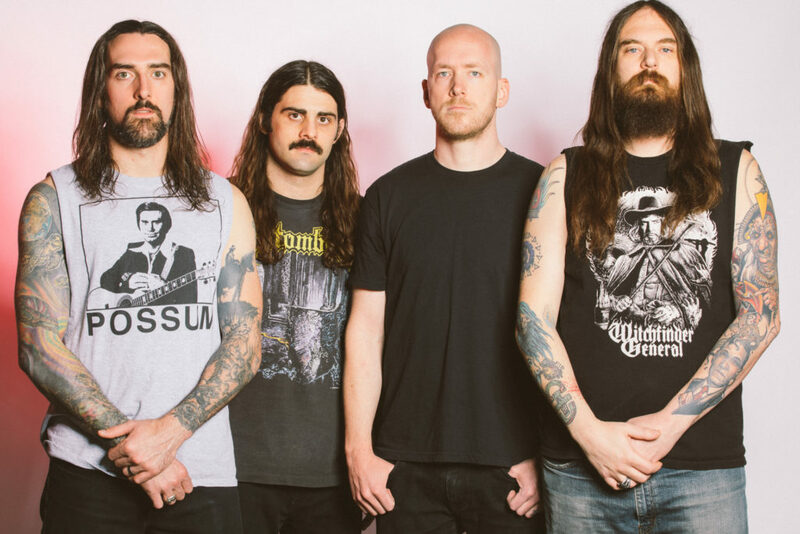 SPIRIT ADRIFT announces an extensive North American tour in conjunction with the release of their anxiously awaited third full-length recording, Divided By Darkness, set for release through 20 Buck Spin in May. 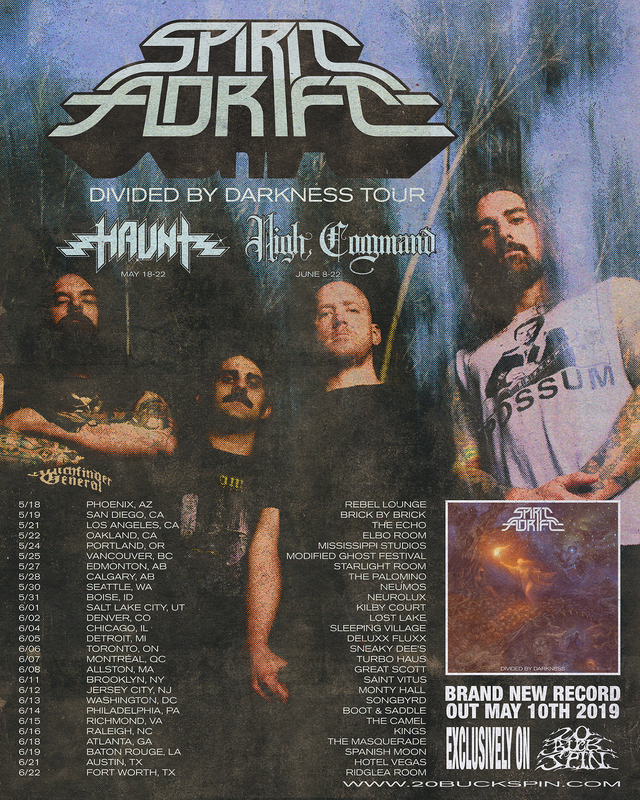 Tickets SPIRIT ADRIFT’s Divided By Darkness Spring Tour go on sale this Friday, March 15th at 10:00AM. See the official video for the first single from Divided By Darkness, “Hear Her,” at THIS LOCATION and hear the song at all digital outlets. 20 Buck Spin will issue Divided By Darkness on LP, CD, and digital platforms on May 10th. Watch for preorders, additional audio samples, additional tour dates – including a European tour for later in the year – will be announced over the weeks ahead. 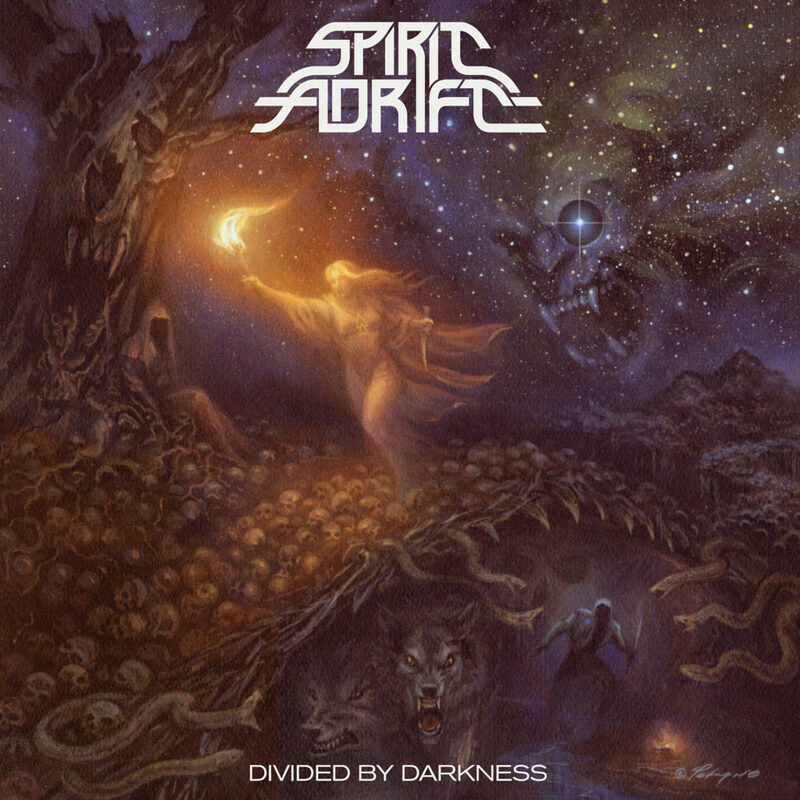 Fans of Testament, Ozzy Osbourne, Metallica, Judas Priest, Crowbar, Pentagram, Mastodon, Thin Lizzy, and Deadbird must experience SPIRIT ADRIFT.